Quick stop today! Have you tried the Blowfish before? No not the band (although those stories are welcome) but the fish.. :) yes, from that same family as Puffer fish but not quite as sinister! Blowfish is a white fleshed, mild flavored fish that easily picks up the flavors that you coat it in. It is much like chicken in that respect as also in the way you eat it.. like a drumstick. 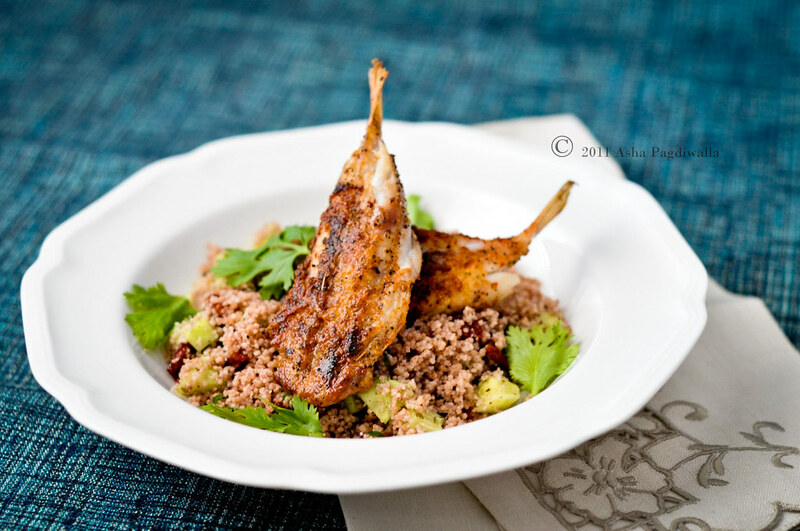 For a quick meal, I paired Smoked Paprika and Oregano Breaded Blowfish with a fresh Couscous with cucumber, sundried tomatoes and walnuts. Season the fish with salt, pepper and paprika. Mix the oregano into the flour and lightly salt it. Heat oil on medium high in a heavy bottomed frying pan. Touch the edge of a fish to the oil, if it sizzles then we are ready to go. Using the tails to hold the fish, lightly pat both sides in the flour. Dust away excess flour and place in frying pan. Do not touch for 2 minutes. Gently lift turn over and cook for 4 minutes. Serve immediately.